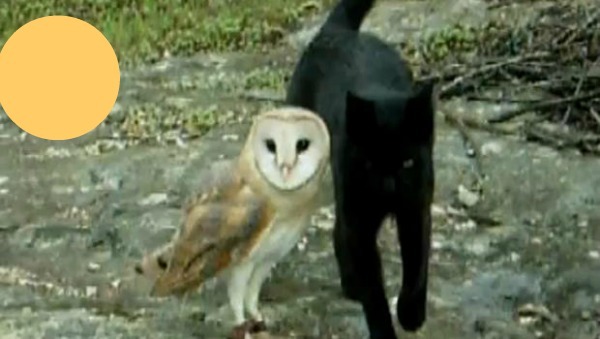 DON'T THINK I'M WASTING ALL MY TIME LOOKING AT CUTE CAT (and owl) VIDEOS ON YOUTUBE. What a fun video. That this is possible. It warms your heart. I am not sure how to interpret tour "trying to find work to earn a living" . That means the vintage shop doesn't earn enough? What a pity! I wish you every kind of success in finding something you like and earns you money at the same time. Spending a few days back at home means I hear the owl in a nearby oak tree most nights. Magic!